Hosting your own Rescue Programs event is a great way to raise awareness and get your community involved in fundraising for children in need. 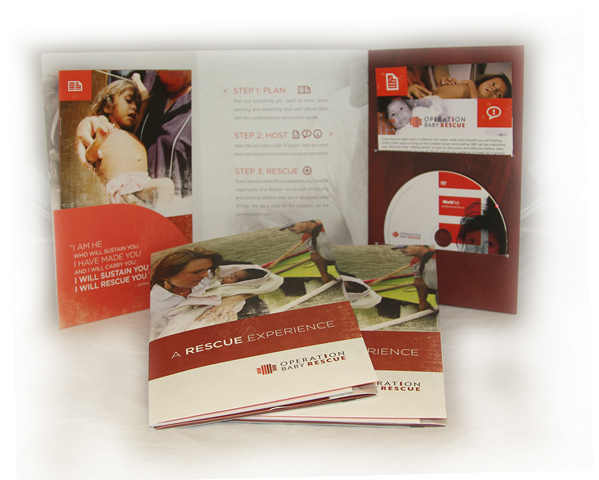 To help you with the planning and preparation process, we’ve designed a special Rescue Program Experience Kit that will get you started. A Rescue Programs DVD containing a full-length documentary (in English and Spanish), a PowerPoint to accompany your presentation, visual aids, posters, handouts, and more! We hope you’ll find this kit useful in sharing your passion for rescue—whether it be for a group of friends, at your church, or during a community event. Whatever your event looks like, your heart for the world is what will inspire others to join you. Be authentic, have fun, and most importantly—change lives! We are confident you will do amazing things for children around the world.